The league have decided NOT to cancel tomorrow’s programme. We shall leave individual clubs to decide on the fitness of their grounds. Please be sensible and consider journey times when arranging pitch inspections. Make sure cancellations are notified to the opponents, referee and fixture secretary via Prawnsandwich on the result card. If Alan Wiggins has got you a referee please tell Alan as well. Keep warm and enjoy. 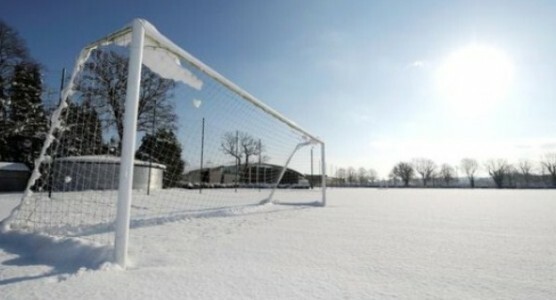 The league recognises some of you are concerned about the weather and Sunday’s fixtures. We are also conscious that because we cover such a wide area it may well be quite different in some places. We have been watching the weather forecasts and speaking to people in different areas. The current situation is that the weather seems on our side although we note some councils have already called some local authority grounds off. A lot will depend on what happens this afternoon and tonight. We will make a decision early tomorrow morning if we are going to cancel the whole league programme but at the minute from what we have been told this seems unlikely. It makes sense to relax the opponents having to reverse the fixture rule this weekend so we will. That said if it can be easily done and we can get a game on please try your best. Please also remember that if your game is off then you need to tell your opponents, the fixtures secretary and the referee’s secretary in a timely fashion. Please keep an eye on the league website and Twitter account from about 10am tomorrow.